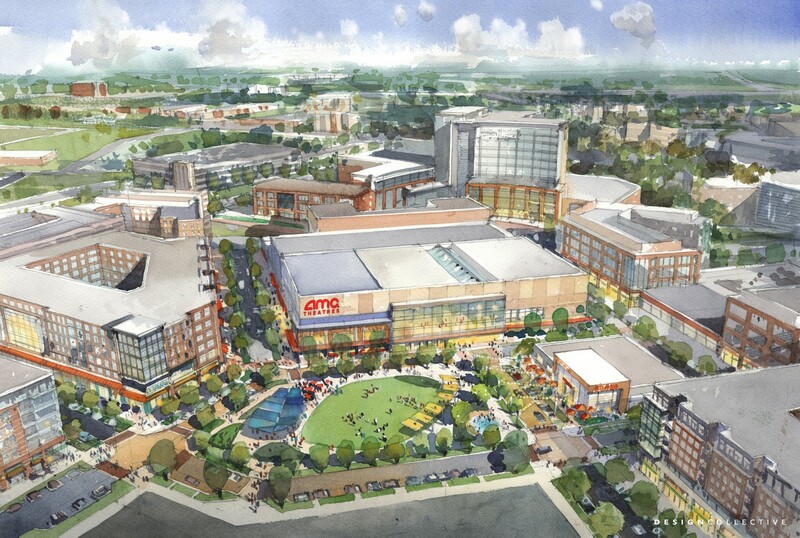 Design Collective was engaged by Retail Properties of America (RPAI) for the Carillon Master Plan, the previous site of The Boulevard at Cap Centre (following the demolition of the Capital Centre Arena), located in Largo MD. 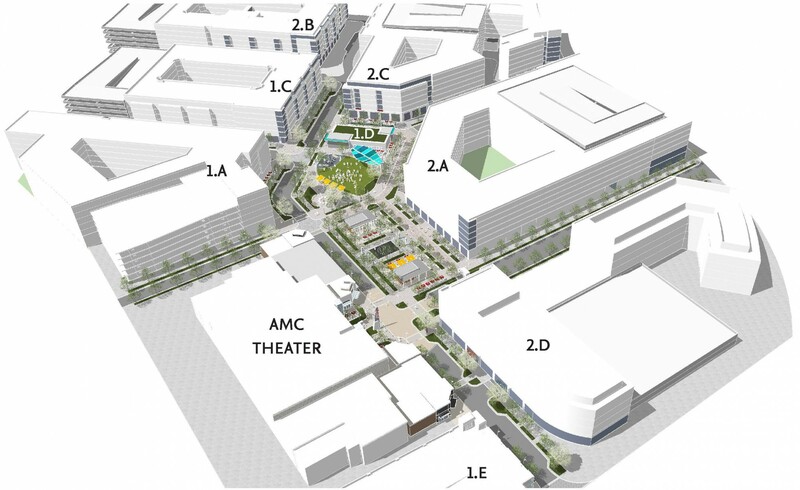 East of Washington, D.C. and adjacent to the Largo Metro Station serving the Blue and Silver Lines, the project is planned as a Transit-Oriented Development (TOD). 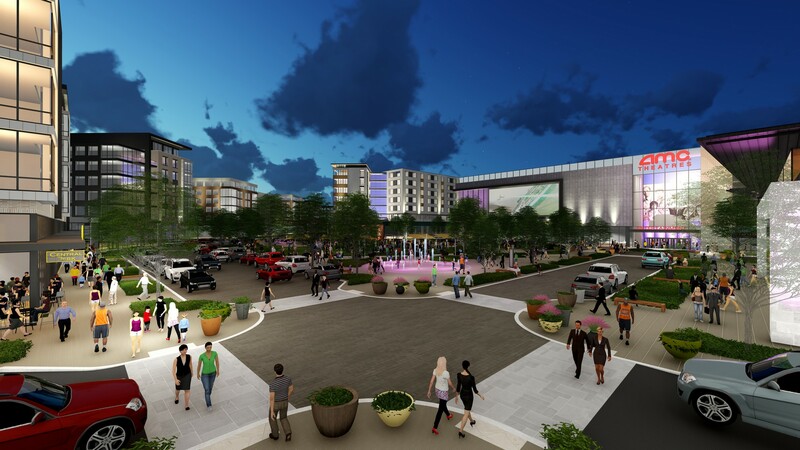 The master plan proposes the complete transformation of a suburban, open-air, 1-story shopping center into a dense, walkable, urban mixed-use center with residential, retail, restaurants, medical office, office, and a new regional hospital. 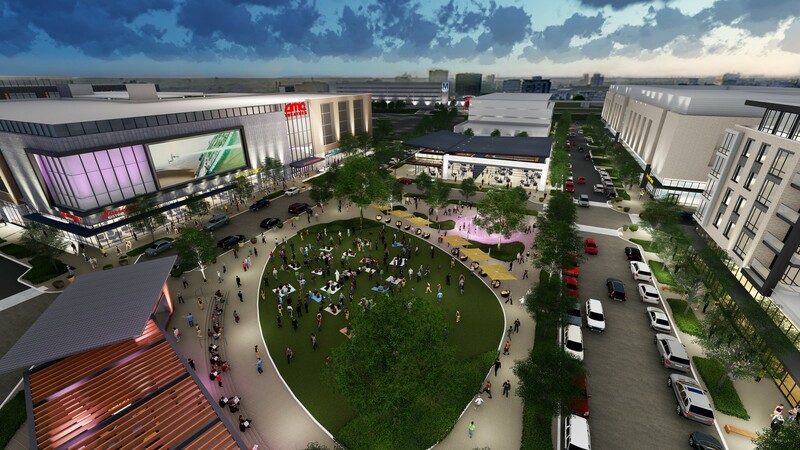 The master plan envisions a pattern of walkable blocks, Complete Streets, and a new Central Green and events space to create an active, vibrant, and sustainable place. 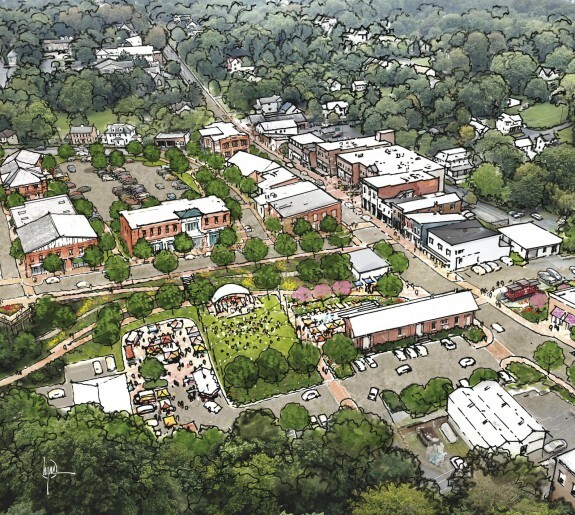 Design Collective provided master planning, urban design, architecture, and landscape architecture design services. 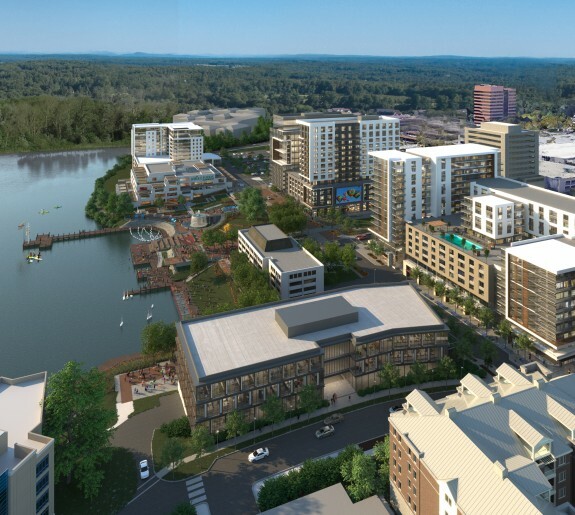 Additionally and adjacent to the core of the TOD, a new regional medical center is planned and is currently under construction. 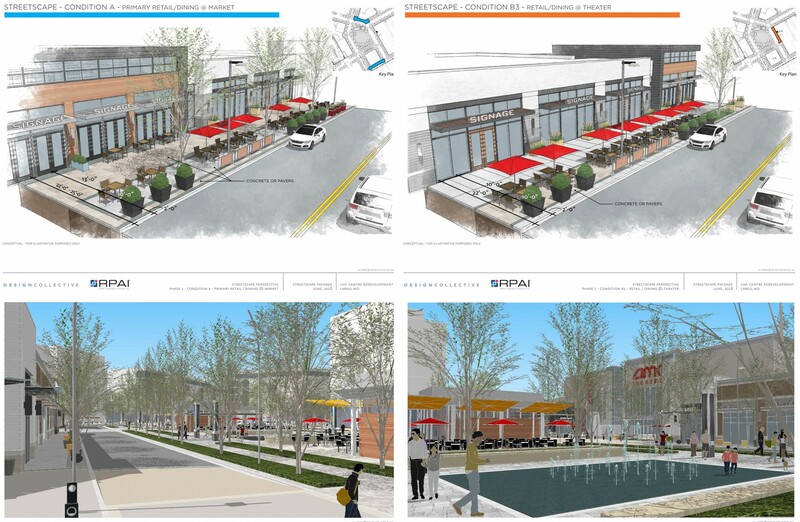 Design Collective has worked closely with the University of Maryland Medical System (UMMS) project team to ensure that the mixed-use development and the hospital are coordinated and work together to create a synergistic health/wellness community. 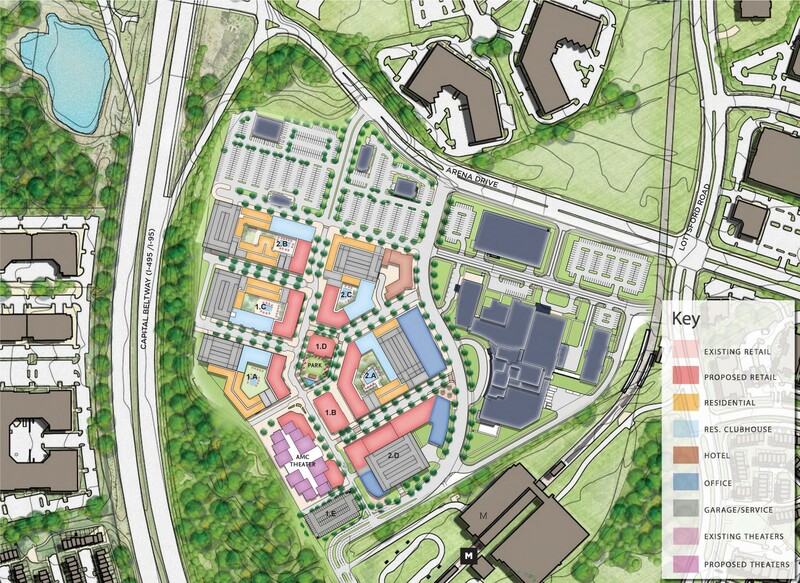 The master plan suggests the extension of pedestrian routes and street connections to the hospital and anticipates supportive programming for hospital patients, visitors, and employees. 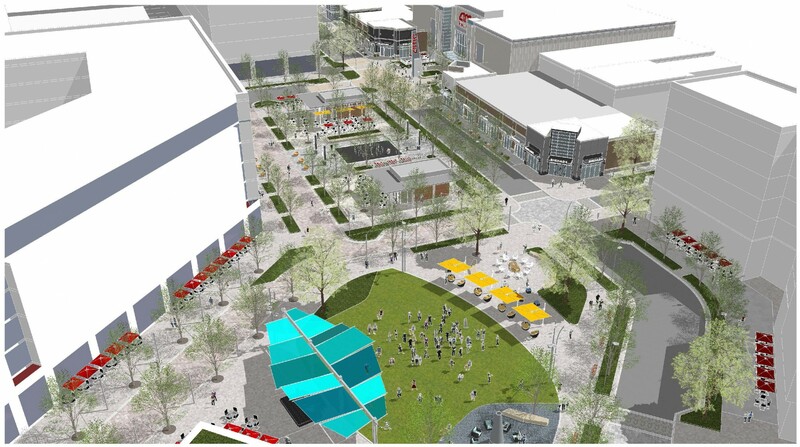 An active healthy lifestyle is supported with dynamic open spaces, fitness components, ped/bike trails, and fitness stations.